Where is The Country Club of Ocala? The Country Club of Ocala is located off SE 80th St. a couple miles west of 301/441. Why do people like to live there? 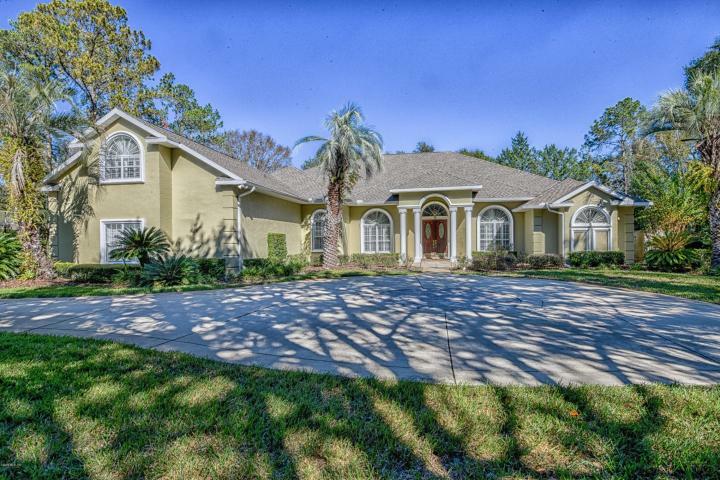 The Country Club is Ocala’s premier exclusive neighborhood! This beautiful gated community offers the finest amenities from an 18 hole championship golf course with natural elevation changes, to well maintained tennis facilities, a junior size olympic pool and delicious dining at the clubhouse. The social scene is hard to beat offering wine tasting, costume parties and many other social events throughout the year. Parties are for members only, so be sure to join! For more information on becoming a member of the Country Club of Ocala, please contact them directly but clicking on the link. What are the homes like? The homes in the exquisite private community of the Country Club of Ocalarange in price from $150-250/sf. Homes in the Country Club of Ocala are custom designed and offer the best in luxury amenities and architectural design. Tell me more about the neighborhood. There is a 24 Hour Guard gate. Many homes are on Well and Septic and the Neighborhood size- Approx 275 homes. There are streetlights to light the way for your evening stroll. What are the School Zones? Shady Hill Elem, Belleview Middle, Belleview High. Current Home Owners: If you are thinking of selling your home here, click here for a free market analysis and then we can discuss the best way to market your home. Future Residents: Since this is a guard gated community, you will need a Realtor and appointment. Please call me to set that up! Check out the houses available below and let me know when you want to take a look. VERIFICATION:What is five plus three? Jennifer Hunter, Broker Associate/SRES is the Team Lead for "House Hunters" of Magnolia Homestead Realty. She has proudly served the Marion County area as a Realtor since 2013 and has been awarded several top honors. Having grown up in the area, she is a fantastic resource for information! Please email me at Jhunter352@gmail.com Like us on Facebook at LifestyleOcala.com or Simply Click the Icon below! © 2019 Ocala, FL neighborhoods & homes for sale - Bellechase, Golden Hills. All Rights Reserved.